Abstract— 1200kV Power Transmission System being indigenously developed in India under the aegis of PGCIL. Insulator Hardware Fittings and Conductor & Earthwire Accessories, Clamps & Connectors for Sub-station eqpt involving octagonal conductor bundle call for special consideration wrt design, manufacturing and testing. 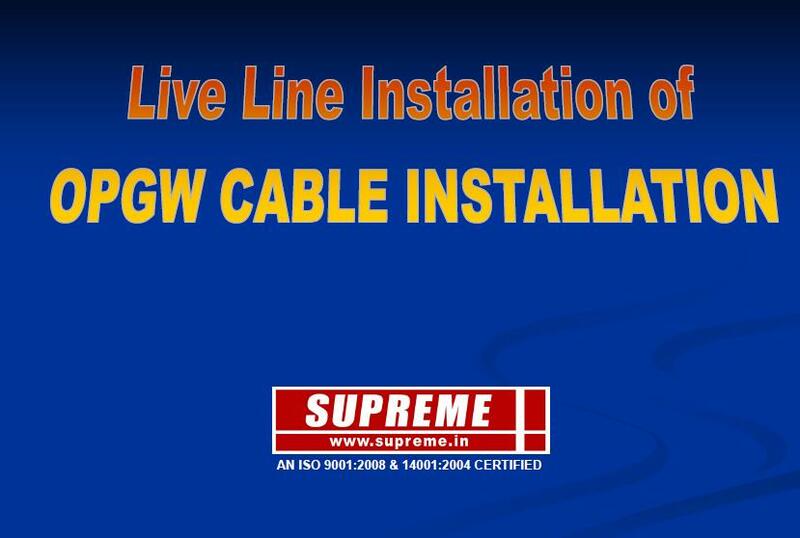 Supreme & Co. share a few points from their experience while developing such product for 1200kV. Introduction –In view of the projected growth of capacity addition in Power Generation and to take care of future increasing load demand, Power Grid Corporation of India Ltd(PGCIL) decided to adopt 1200kV Power Transmission System for bulk power transmission. It was decided to develop the entire range of equipment for sub-station and transmission line indigenously and PGCIL created one Project Steering Committee(PSC) and several Working Groups(WG) equipment-wise. 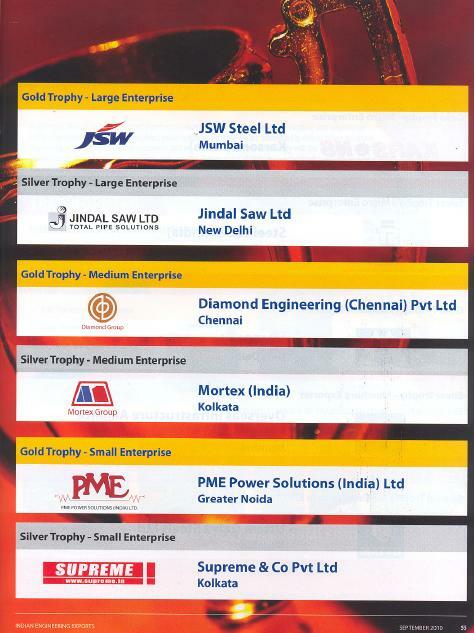 Supreme & Co.(Supreme) signed an MOU with PGCIL on 12th November, 2008 to work in the following Working Groups for development of respective product. I. 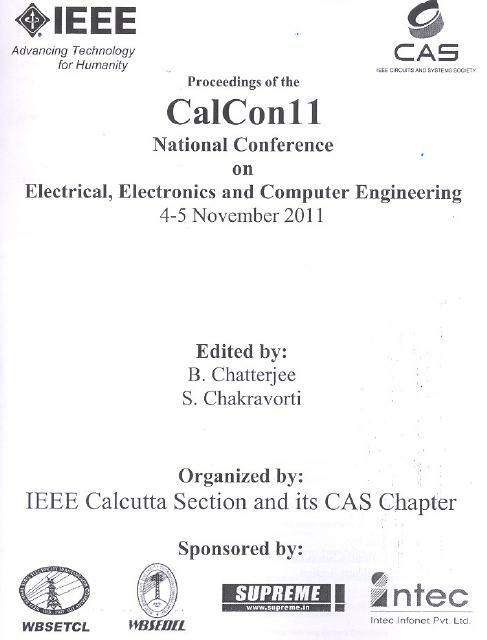 INTENT OF PAPER–This paper is intended for sharing the approach and experience faced during developmental process with respect to design particularly for meeting electrical high voltage and eletro-mechanical criteria, augmentation of shop floor infrastructure & manufacturing/fabrication facilities, development of massive dies for Steel forging, Tube Bending & Aluminum casting, augmentation of Test facilities etc. II. SYSTEM DESIGN–Various studies were conducted by PGCIL to determine the configuration of its 1200kV transmission lines & Switchyard. 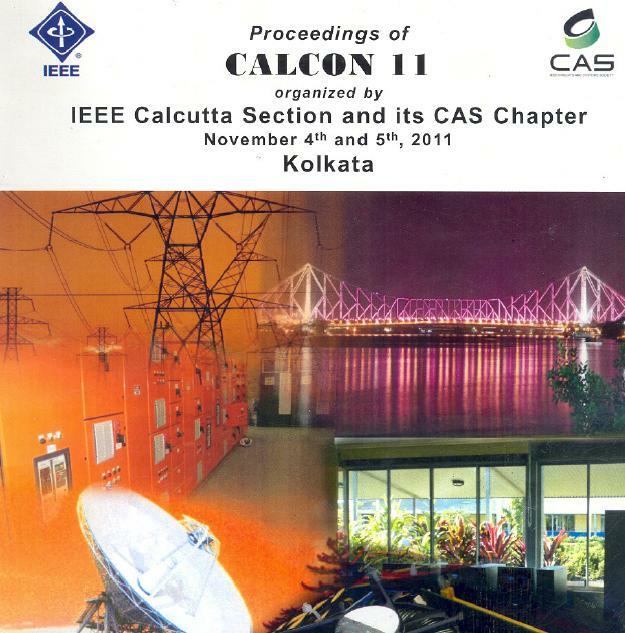 Studies included corona cage studies, air gap insulation studies, tests for voltage distribution on the insulator string, RIV & voltage gradient measurement. Based on the Studies the Conductor configuration, Air gap clearances and String configurations were finalized. PGCIL carried out these tests in a Corona cage at UHV test lab at Central Power Research Institute (CPRI), Hyderabad. Octagonal Bersimis ACSR (Dia 35.1mm) bundle conductor was chosen. Three types of bundle arrangements, with different sub conductor spacing of 350 mm. 450 mm and 550 mm were adopted. The measurements were made with two nominal precipitation rates viz 57 mm/hr and 85 mm/hr. Corona Inception Voltage, Corona loss, AN & RIV were measured. Eight bundle Bersimis with both 450mm and 550mm sub-conductor spacing considered for 1200 kV system.System Studies conducted with eight bundle Moose also gave good results and hence, in 1200kV National Test Station both Bersimis (D/C line) and Moose (S/C line) conductors were adopted. Lightning impulse withstand voltage and switching impulse withstand voltage levels were prime consideration for Insulation Co-ordination.With rise in system voltage, the ratio of Lighting Impulse Withstand Level (LIWL) and Switching Impulse Withstand Level (SIWL) to the rated voltage decreases, for example , LIWL/rated voltage for 400 kV, 765 kV and 1200 kV respectively is 4.15, 3.22 & 2.45 and SIWL/rated voltage for 400 kV, 735 kV and 1200 kV respectively is 3.06, 2.37 & 1.84. Based on the above studies, test results, all relevant technical considerations and discussions with representatives of manufactures, utilities as a part of working groups for individual equipments, major technical parameters have been identified by PGCIL(Ref- & ) which are given at Annexure – I. Aluminum Tubes for CC/ Grading Ring — Corona Control(CC) Rings are deployed in EHV/ UHV level for dual purpose of reducing electrical stresses to ensure extinction of corona below a certain voltage level thereby reducing losses due to corona as well as taking care of voltage grading along insulator string. 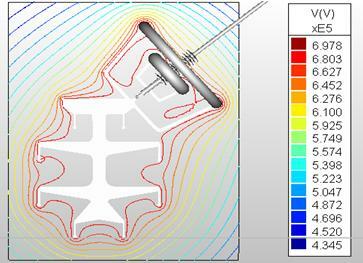 The design of CC ring also ensures Radio Influence Voltage(RIV) under the acceptable limit. 1200kV system need special attention on the design aspect of CC Rings in view of the large dimension of the CC Ring to cover a large Hardware Fitting set. 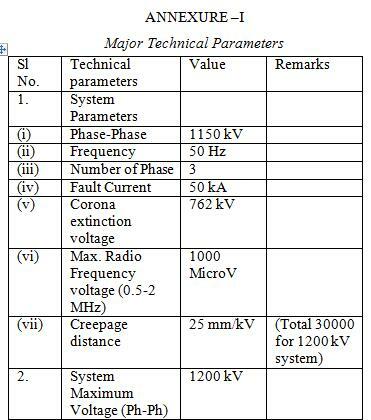 Surface Voltage Gradient on surface of conductor was calculated for Transmission Lines and Sub-stations and found within safe limit with respect to corona inception. Calculation enclosed at Annexure-II. Selection of CC ring has been done by covering a much larger diameter and effective surface area and hence performance with respect to Corona Inception and Losses will be within limit. To achieve this, 100mm diameter 6063 Grade Aluminum Alloy extruded tube with 5mm thickness was selected. Bending of such tubes called for new and higher capacity bending machines along with new dies which were developed in-house. CC ring for Tension Hardware is of so big dimension, it was fabricated(bend) in two halves. Two numbers of Couplings having inner diameter near to tube outer diameter have been deployed at the two adjoining points of the two halves of CC ring. To facilitate smooth fitment, the couplings are tapered inside from centre to outermost point on either side. Opening up of CC ring has been arrested by two structural steel flats bolted with the bracket of CC ring and fastening both the halves of CC ring together. 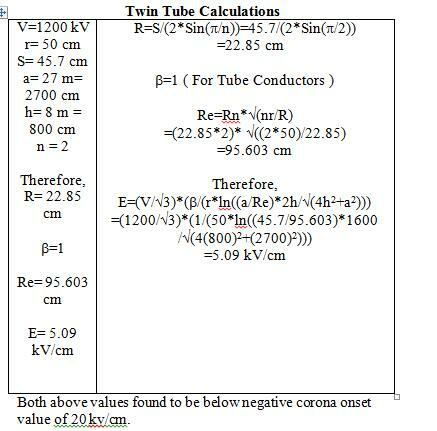 Note: Surface Voltage Gradient has been reduced and achieved within limits by adopting higher diameter Corona ring of 1100mm when compared with reference values taken (Ref-). Steel Forging —- The most important parameter for design of steel forging components is Electro-Mechanical(E&M) strength requirement which are derived from the E&M strength of Insulator as well as total string configuration. Primarily, Ball & Socket designation are selected. 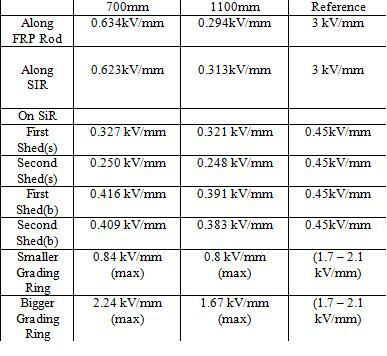 Typically for 400kV system, 20mm B&S designation is adopted for 120kN and 160kN Insulators. 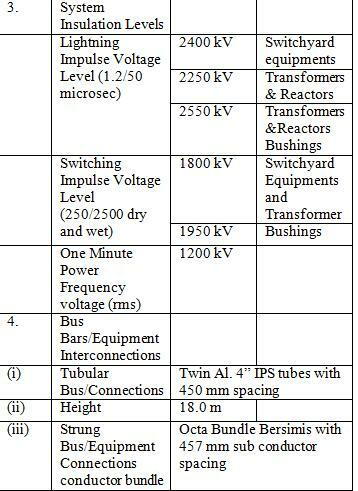 PGCIL have already introduced higher capacity insulators of 320kN and 420kN. These call for higher B&S designation which resulted in use of 24mm and 28mm Ball & Socket size with chrome molybdenum alloy high strength steel designated as EN19 grade to withstand the Electro-mechanical strength requirement. Obviously, same designation was adopted for Ball and Socket components for respective hardware fittings for 1200kV. 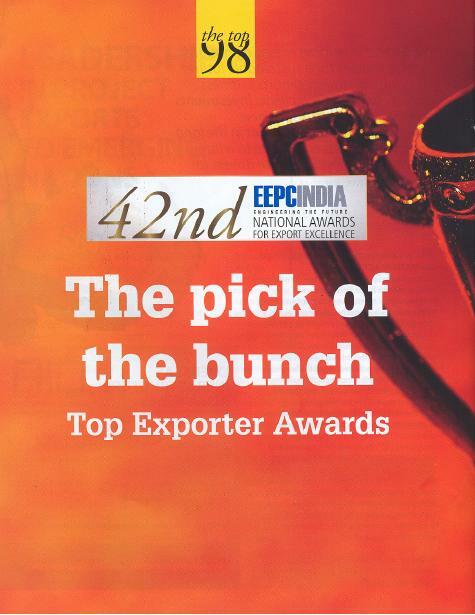 This called for development of full range of Forging Dies, Socket Cutters, Set of Gauges etc. Matter was taken up immediately and fresh design was made for dies. New die blocks were imported and die sinking was done at pre-approved vendor’s works under constant supervision of Supreme’s technical personnel. All Steel Forging component dies were thus specially manufactured and components were forged with newly developed set of Forging dies made of imported Die Steel and forged in Drop Hammers of 1T, 1.5T & 2T capacities(depending on the size of product) at red-hot condition with Temperature ranging from 975ºC to 1050ºC and then flashes were removed at Trimming presses with the help of newly developed Trimming dies. Components were allowed for natural cooling in open air. All forged components were subjected to Heat Treatment (Normalising) in furnace at 850ºC with a soaking period determined according to the thickness of the product. 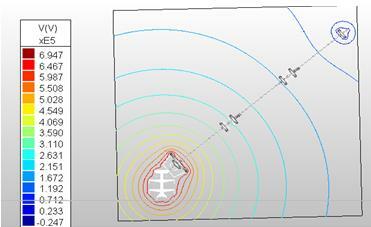 Major dimensions were initially selected based on previous experience of design used for EHV segment and extrapolating the higher mechanical strength withstand ability as well as addressing certain aspects arising purely due to levels of mechanical stresses so significantly higher that mere extrapolation would not have sufficed. All components need to have required yield, shear and bearing strength and these have been validated by design calculations. Moreover, design has been based on mechanical strength values applicable under normalized condition avoiding use of hardened and tempered steel. Ductlity was key consideration as parts must undergo macro deformation before failure. Use of fasteners with Grade higher than 8.8 was avoided since higher grade fasteners have yield point very close to breaking load which is not recommended under cyclic stresses arising out of vibration. Fasteners with grade higher than 8.8 are also susceptible to hydrogen embrittlement. Stress concentration may also arise due to various local changes in geometrical shape, sharp bends or abrupt changes in cross-sectional area. Stress concentration at roots and run outs of the thread are avoided by use of thread rolled bolts. Providing higher edge distance and generous radius at the edges and may mitigate other stress concentration related problem. The dimensions were validated by design calculations. Thereafter, forging components were revalidated by testing on Tensile Testing machine as per PGCIL standard technical specification i.e. 67% proof load (5min) & 100% UTS(1min). All components Test Reports are available with Technical Department of Supreme. Fabricated Steel Plates — Design of plates for 1200kV Hardware Fittings also called for innovation owing to number of sub-conductors which was decided as 8(eight) per phase based on system consideration. In the case of Suspension Hardware Fittings, the challenge lied in development of a single piece Yoke Plate to support all 8 sub-conductors at same vertical plane from 8 different points(holes) but keeping sub-conductor spacing i.e. distance between adjacent sub-conductors identical which should be 457mm. Eight Armour Grip Suspension Clamps supporting each sub-conductor were attached with the Yoke Plate at the hole points as mentioned above. Design parameters viz. thickness, edge clearance etc. of Suspension Yoke Plate was selected based on previous experience of 400kV strings and subsequently validation was done through calculation of Tensile, Bearing, Shearing Strength of Plate and Bearing Strength of Bolt as per guidelines of IS 800. Concept of design followed was generally same as has been done and described above for steel forging. As far as material is concerned, low carbon structural steel as per IS 2062 Grade-A has been adopted. Holes in plates in the subject case may be susceptible out of unbalanced load sharing and hence edge distance have been kept more than the guideline of IS 800. All hole edges have been countersunk for relieving of stress, bolt dimension selected to ensure avoidance of contact of load-bearing surface with threaded part. Similar design philosophy has been adopted for all other Yoke Plates, Links, Flats deployed for other Hardware Fittings viz. Tension etc. All Yoke Plates have been revalidated after final fabrication through Mechanical Testing as per PGCIL standard technical specification i.e. 67% proof load (5min) & 100% UTS(1min). All components Test Reports are available with Technical Department of Supreme. IV.SUB-STATION CLAMPS & CONNECTORS: — According to required design criteria, the corona performance of the connectors must be better than that of the conductors as the conductors are designed to control surface voltage gradients below the negative corona onset level. This is achieved by providing smooth contours on all surfaces and eliminating all projections. In compression elements, tapers are provided to keep the voltage gradient at a level lower than that of the cables. For spacers, the critical regions are the edges of the bundle. This is because of the shielding the bundle provides to the parts within it. Hence, the parts at the edges of the bundles are provided with meticulous finishes at the factory to ensure corona-free operation. All Clamps and Connectors have been manufactured by Gravity Die Casting of Aluminum Alloy Grade AS-6 as per IS-617.Drawings of various equipment were obtained from respective manufacturer through PGCIL. Sub-station layout drawing developed by Larsen & Toubro was also obtained. The major challenge was development of all casting dies which are of huge dimension and called for augmentation of handling facilities. This was done in-house successfully to cope up with the requirement. All casting dies were indigenously manufactured and all components were produced by gravity die casting at Aluminum Casting Plant of Supreme. Current carrying capacity for all items were validated by calculation and found safe. Corona & RIV performance has been validated by testing at laboratory/ test station. Due care has been taken regarding smoothness of surface, providing generous radius at all edges, adopting low corona Dome nuts etc. Ensure that no sharp corners like bolt head or threads project out of the clamp body. An album containing photographs of Hardware Fittings String(with reduced number of Insulators), Clamps & Connectors along with photographs of various dies, new manufacturing equipment etc..can be viewed through our web link given below. V. PRE-FABRICATED JUMPERS — On the first attempt, Supreme developed a pre-fabricated jumper with eight numbers of tubes to form an octagonal structure. However, comparison of conductor and bus bar surface voltage gradient of “8 Bundle Moose” & twin tube of 100 mm shows that a compact pre-fabricated jumper comprising 2 tubes spaced 457mm apart of dia 100mm with cross section area of individual tube 4 times as that of “moose” ACSR can be safely designed. This is under developmental stage at Supreme plant. VI. CONCLUSION — Though the development of all fittings has been done to the extent described above yet continuous effort has to be done and after obtaining further test results, it is to be seen whether further optimization is possible. VII. 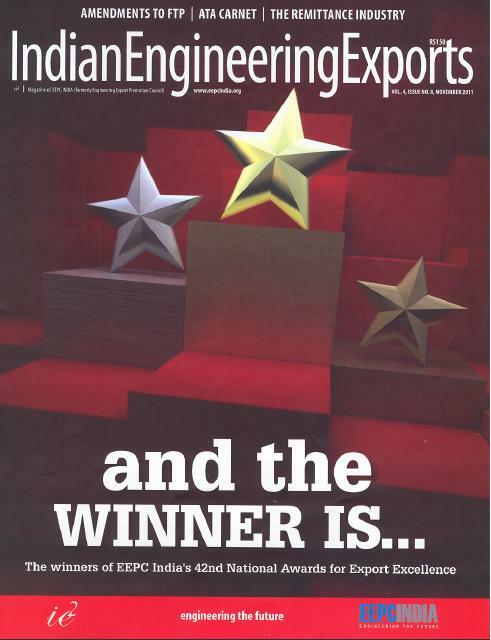 ACKNOWLEDGMENT — The authors convey their thanks to PGCIL for their continuous support, CPRI for their support in testing, Decan Enterprises, all Equipment manufacturers, Tower & Sub-station erectors, all members of STC & WG and last but not the least all concerned persons in Supreme. Electric Fields on AC composite Transmission Line Insulators -IEEE Transactions on Power Delivery, Vol-23,No-2, April 2008. As a thumb rule the longitudinal contact provided is 6 to 8 times of the conductor /bus bar thickness. It is known that all solid surfaces are rough on micro scale and such surface when viewed micro logically have peaks and valleys whose shape, height, separations etc is a function of many variables . The effective electrical contact comes from interfaces only when metal to metal contact spots are produced . In a typical connection , the area of actual electrical contact isonly a fraction of total physical contact . These contact spots are also known as ” a’ spots and are empirically observed to be between 1 to 2 percent of the physical contact area . Now for our calculations if we assume the conductor to have a dia of 32 mm , it will have total circumference of 100 mm . 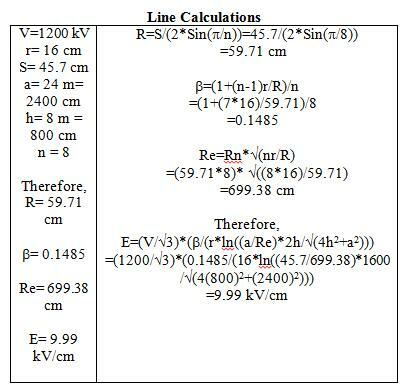 60 percent of this is 60mmLongitudinal contact is taken at 32 x6 = 192 mm which makes the total contact area for each conductor of the bundle 11520 sq mm . Effective ampacity can be taken at 0.1 amps per sq mm considering effective electrical contact area to be 1 percent of the physical contact area Thus the total ampacity of each bundle is 92160 x 0.1 amp which is 9216 amp. Thus the amapcity wise the design is safe by a long margin. You are currently browsing the The Complete Power Package blog archives for November, 2011.